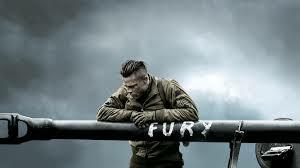 Weapons, Power, Patriotism, Releasing aggression are all reasons War movies have been around for so long. War, war never changes! There are always two or more sides fighting over something and by the time the fighting has stopped there are too many people who got killed in action. So why do we enjoy War themed media so much? How come Call of Duty makes the same War simulation every year and we eat it up like hotcakes. How come we used to run around with toy guns shouting: “Bang, bang” at our friends. It’s because we like war. We feel the power; we know what’s at stake; we love powerful weapons; we love to feel like we are fighting for something. There are numerous reasons why someone might be a fan of this dark theme. Whatever your reason may be, we won’t judge. Instead, we will give you a list of 15 best War movies ever in no particular order. We are going to kick things off with an odd one. Now, usually when we hear the word War, we think about guns, helmets, army boots and camouflage suits. While bombs are an integral part of many war movies, they still aren’t the first thing to come to mind when we talk about War. When bombs explode, bad things happen so naturally we need people to stop the ticking-menaces from exploding. The Hurt Locker is a film that takes place during the Iraq war about a team of elite soldiers whose job is to disarm bombs during battles. As hard as that might sound, it gets even more intense when the team gets a new leader who doesn’t seem to care about whether his team lives or not, as long as they get the job done. If you like bombs, we expect that you will have a BLAST with this one. If you enjoy war stories of small teams tasked with doing big missions than this one is for you. 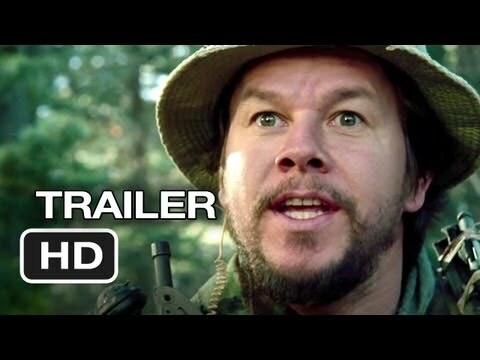 The story tells the tale of Marcus Luttrell (played by Mark Wahlberg) and his team of Navy SEALs who receive a difficult mission to venture into Afghanistan and capture Taliban leader Ahmad Shan. As you may have already figured out, things do not go according to plan and many people get injured and killed. 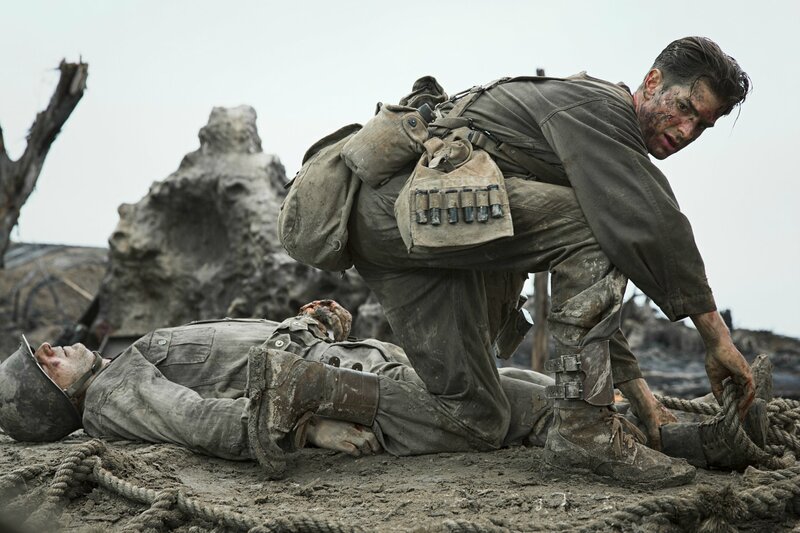 Without spoiling too much, it’s a war movie where you can truly feel the pain and the desperation of the main characters as they fight for their survival against impossible odds. Sometimes war movies don’t need to be based on huge armies in order to be enjoyable. Tanks are ruthless powerful death machines and they are one of the coolest aspects of any war. You know things are about to get serious when tanks start rolling in. Fury is a story, set during World War 2, about a 5 man team that control a single, but very powerful, tank called “Fury” (hence the name). When the tank’s main gunner “Red” gets killed in action, the team gets an immediate replacement gunner who is very inexperienced and messes up quite often. Apart from fighting against the Nazi German army, the film also focuses on Don “Wardaddy” Collier (played by Brad Pitt) teaching the new gunner Norman (played by Logan Lerman) how to be better at handling the tank. If you want to know if the tank survives you’ll have to check this one out. Snipers are considered to be some of the deadliest forces in any army. They are patient, accurate and, of course, extremely deadly. Enemy at the Gates tells the story of a very skillful sniper. Set during the battle of Stalingrad in World War II, Vassili Zaitsev stalks the German army by taking them down with his trusty sniper, one by one. His skills and deeds bring hope to his Russian comrades but also overwhelm the character with a sense of responsibility. To make matters worse, the Germans also deploy one of their finest snipers to take care their silent attacker. The two snipers engage in a deadly game of cat and mouse as they try to outsmart each other. If you are curious about how a battle for a city can sometimes depend on just one man, you might want to give this one a try. 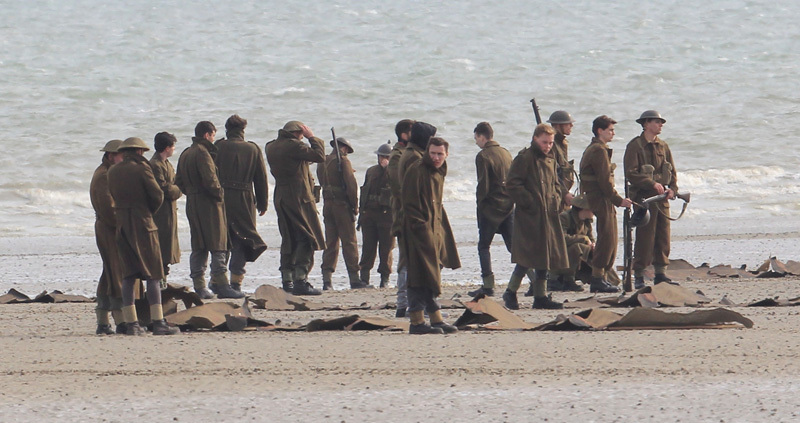 We are breaking our own rules a little bit by including this one, but the trailer alone has gotten us so excited that we have really high hopes for Dunkirk. 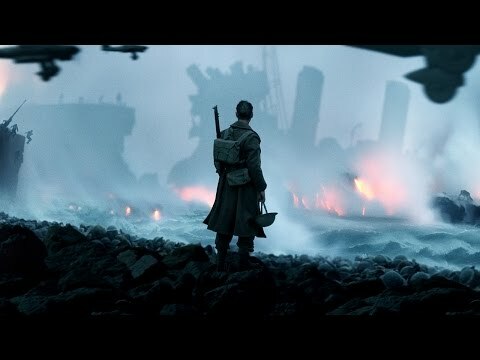 Set in World War 2, the battle of Dunkirk revolved around a dangerous evacuation mission. Soldiers from the British Empire, Belgium and France were stranded on the beaches and harbors of Dunkirk surrounded by the German Army. This exciting movie will tell the tale of how the battle went through and how the men were evacuated. Keep your eyes open for this one when it comes out later on July 21st 2017. Disobeying Military Instructions and Trying to Make Sense of a Chaos Is Always Fun, Right? This one is a tense so brace yourselves. 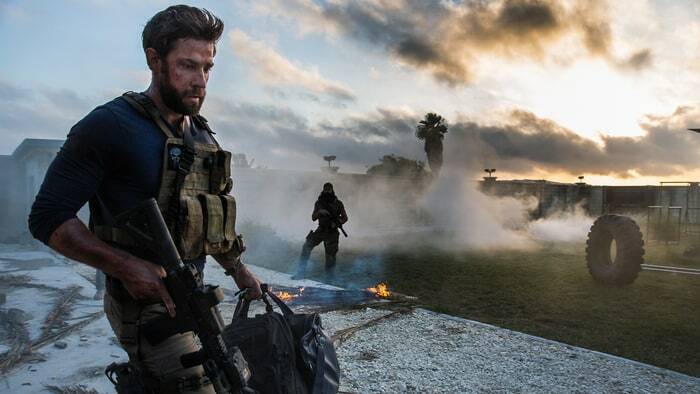 The movie takes place in Benghazi, Libya 2012. Libya in 2012 was supposedly the most dangerous place in the world so most embassies in Libya have fled in fear of being attacked. The US, however, decides to stay because they still have a diplomatic compound. The story focuses on a small CIA outpost called “The Annex”. 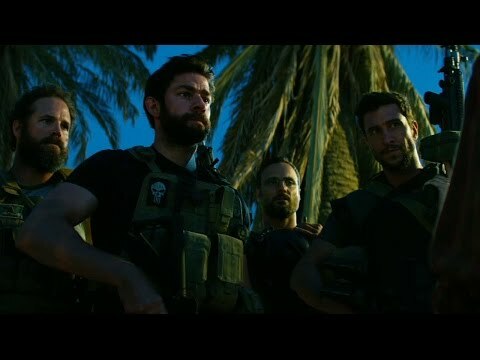 The main character “Jack Silva” (played by John Krasinski) gets deployed to this outpost to try and make sense of the whole chaos in Benghazi. You can probably tell already that things start getting a little hot as soon as he arrives. If you are curious to see how this even unfolded, you may want to give this one some of your attention. Going in guns blazing is nice and all, but sometimes it’s also important to know your enemy and learn about their every move. Imagine if someone leaked that the enemy has a weapon of mass destruction and then sends you to confirm whether it’s true or not. That is the story in Green Zone. 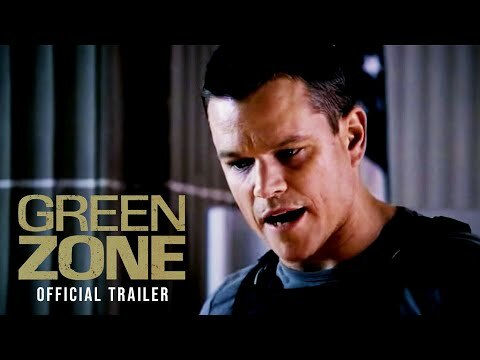 During the American invasion of Iraq in 2003, Officer Roy Miller (played by Matt Damon) gets the job to confirm the whereabouts of the weapon. Some of his leads suggest that the weapon may not even exist while others swear that the weapon is real. Curious? Better go and see the movie to find out what happened. The Gulf War is over and just when you are about to pack up and go, you find out a treasure map that leads to stolen gold. What do you do? Gather your friends and go out and look for the gold, of course. 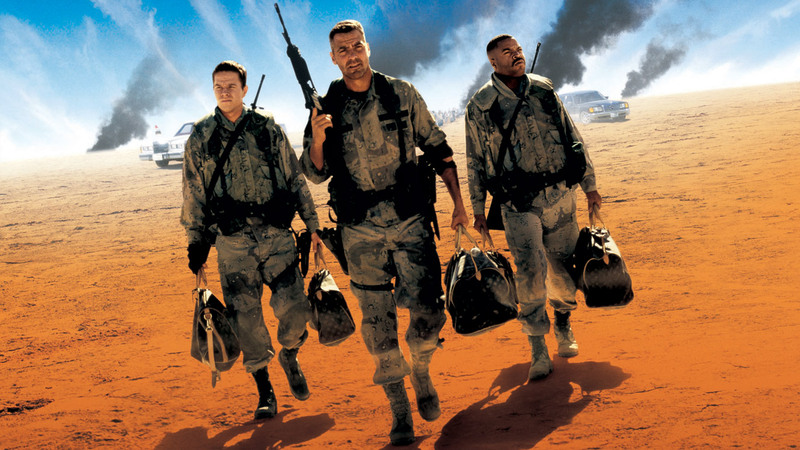 In Three Kings, a small group of soldiers sets out on a quest to find and steal a large amount of gold that is hidden somewhere in the desert. Their journey, however, leads to some unexpected encounters and discoveries that could potentially make them heroes or villains. Is the treasure real, who will they meet along the way? Watch the movie and find out for yourself. Sometimes, Heroes Don’t Need Any Weapons. 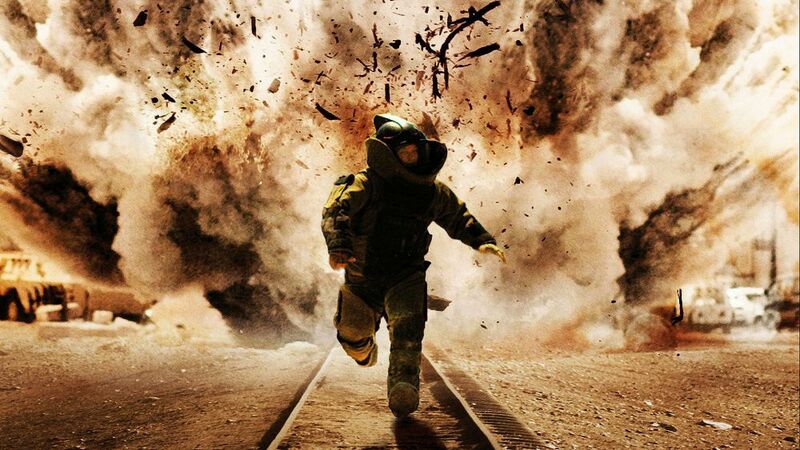 Bang, Bang, Boom, Boom, fire in the hole, those are the reasons we enjoy war movies right? What if we told you that there is a movie about a soldier who during a war never fires a single shot and yet walks out as a hero in the end? Not very interesting? What if we told you that it’s also based on a true story? 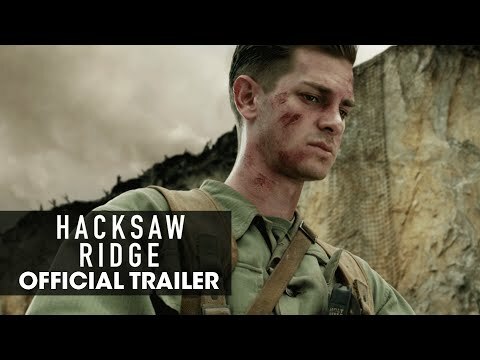 The story of Hacksaw Ridge focuses on World War 2 American Army Medic Desmon T. Doss (played by Andrew Garfield). Desmond refuses to kill anyone despite being in the war because of his strong moral and religious beliefs. 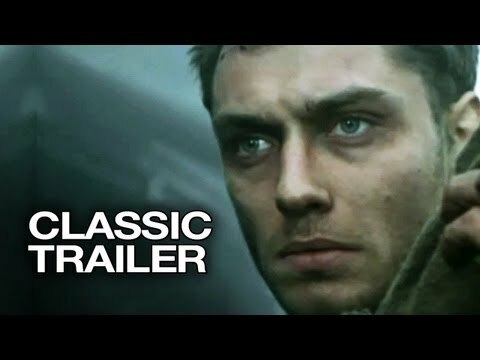 If right now this seems at all interesting to you, this is a movie you really ought to watch because it shows the best and worst of what war is all about. So we’ve had A LOT of movies about nations fighting against the German Nazi army but have you ever wondered how Germans felt about the Nazis? 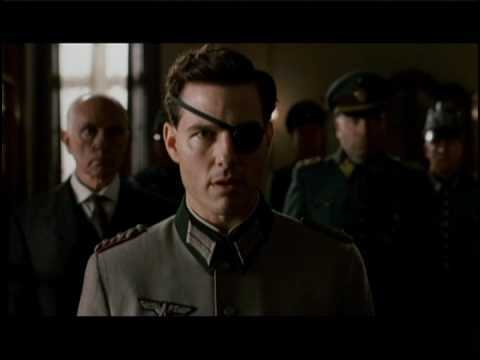 Valkyrie tells the tale of Claus von Stauffenberg and his subordinates who attempted to assassinate Hitler when it was more or less inevitable that the Nazi regime would fall. The name of this operation is, of course, operation Valkyrie. This one really stands out because the movie is told from the German perspective and it’s refreshing and yet unusually unique to be rooting for them. So if you’ve ever wondered how some Germans felt about World War II, you might get your answer from Valkyrie. This one is a little bit dark, hence the name. 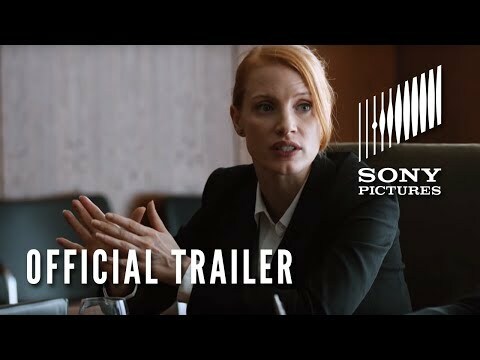 Zero Dark Thirty tells the true story about the 10 year long hunt for Osama Bin Laden. The movie starts off after the September 11th 2001 attack and focuses on the characters gathering more and more information about the whereabouts of the leader of the attacks. We get to see the characters interrogate and even torture some of the prisoners in their attempt to piece together the enemies’ location and motives. The movie, naturally, ends with the assassination of Bin Laden. If you are in the mood to learn a bit more how the whole search went through, give this one a go. An Epic Rescue Mission That Doesn’t Go Exactly According to Plan. War prisoners are not uncommon in any war. Sometimes a prisoner is so valuable that rescue teams need to be formed in order to retrieve the prisoner before it’s too late. Act of Valor tells such a tale. When an undercover CIA agent Lisa Morales is captured by people who also plot terroristic plans, the US sends a team of Navy Seals to rescue the agent. Needless to say, a lot of things don’t go exactly according to plan and the film is packed to the brim with action. If you are in the mood for a rescue mission where a lot of things are at stake, give this one a try. You won’t regret it. So many of the movies on this list take place during the war or before the war. However, not many movies show us lives of soldiers who returned from war. This one does and it’s told in a brilliant way. 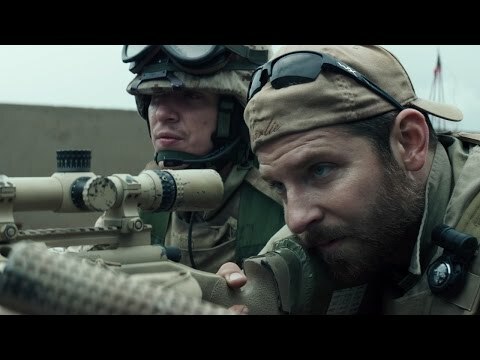 American Sniper is a story about Chris Kyle (played by Bradley Cooper) who feels like he can use his sharpshooting skills in order to serve his country. He joins the fight against terrorism and performs tremendously as a sniper. On the battlefield Kyle discovers his purpose and feels more alive than ever. That’s not the main focus of this movie though, but rather, what happens after the war. When the war is over Kyle can’t seem to cope with the boredom of everyday life and struggles to adapt back to the comfort of living with his family. An amazing emotional movie that you really should watch. Sometimes in order to serve your country in the war, you don’t need to actually hold a gun. Heck, you don’t even need to be on the battlefield in some cases. The Imitation Game is a movie that focuses on the people who helped “behind the scenes”. The film focuses on the real life events of Alan Turing (played by Benedict Cumberbatch) who, during the darkest days of World War II, had the not-so-easy task of decrypting and deciphering codes and secret messages with the help of other mathematicians. The movie can get really tense at times as it often seems like cracking that last enigma could potentially help win or lose the war. For some, guns-free, quick-thinking and mind-bending war film, give The Imitation Game a try. 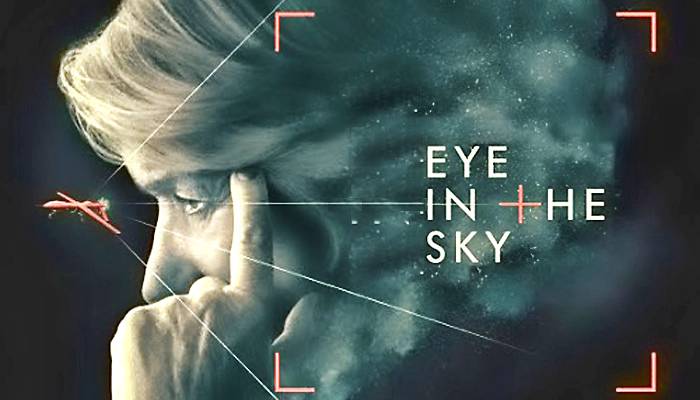 Last but certainly not least, we have Eye in the Sky. This film had a lot of heads turning when it came out because it really made people stop and think. The film starts off just like most war movies. UK officers are sent on a capture mission in Kenya, however, they quickly discover that the opposition is resorting to suicide bombing. The UK team switches from capturing to killing on sight. During the fight a nine-year-old girl enters the killzone and causes both sides to stop. This escalates to a much bigger problem than either side anticipated as it questions the moral, political and personal implication of war. 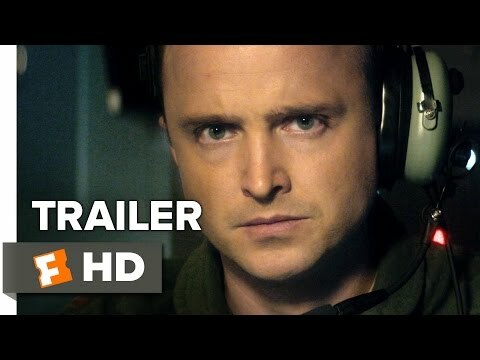 If you are looking for a movie not afraid to speak its mind about war, you cannot go wrong with this one. We did say only 15 War movies, but it would be a shame to at least not mention this masterpiece. While Inglorious Basterds doesn’t follow the usual routine most war movies take and does tend to get a bit over the top at some points but it’s still a fantastic movie, just like most Quentin Tarantino’s movies. This movie tells the story of loss and revenge. When a young Jewish girl loses her parents and barely survives a Nazi German attack, she starts plotting revenge. She meets a German Sniper who convinces her to premier a new movie in the theater she owns. While this seems like a perfect place for revenge this also gets the attention of the Basterds, a rebellious group who like to kill and scalp Nazis. Their two plans twist in spectacular ways and, in true Quentin Tarantino fashion, things get crazy. 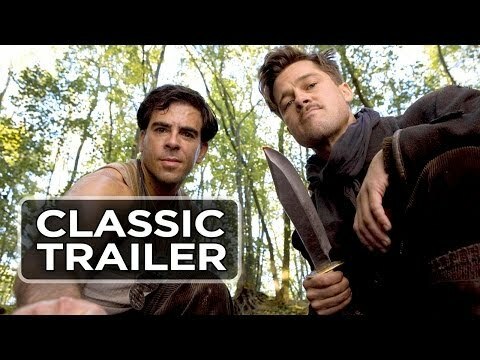 For a really unique movie experience that doesn’t take itself too seriously check out Inglorious Basterds. Those are our picks for the best war movies ever made. Please keep in mind that this is our list and that it’s ok if you don’t agree with it, we won’t judge. 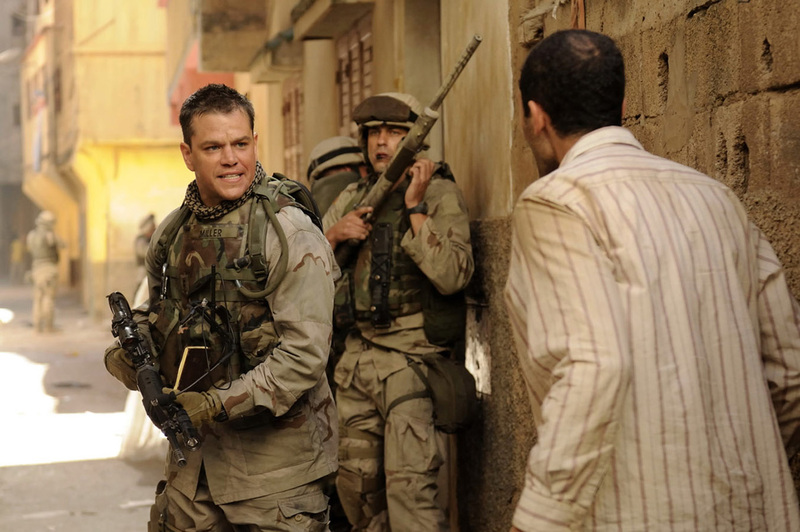 War movies are certainly not for everyone but if you are ever in the mood for some guns-blazing, adrenalin-pumping action, you may want to give some of these movies a watch. We hope that our list can help you decide.